This is the place to share your pictures (and brief story if you wish) of your 2018 Big Game harvests. . Whether they're taken with bow, rifle, shotgun, smoke pole, hand cannon, spear, or the Five Point Exploding Heart Technique, let's see your 2018 harvests! story in the predator forum. good start to the hunting year!!! 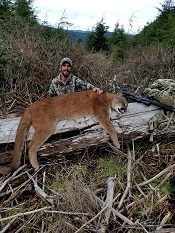 Sweeet; congrats on a fine big cat Mike! Way to start off the 2018 Meat Pole with a bang! Holy Crap!!! That's incredible. What state? VT Sasquatch wrote: Holy Crap!!! That's incredible. What state? Congrats. Very nice color in that critter! pretty bear Joe! love those color phase bear over east, well done! wawhitey wrote: Nice! Wa permit? Story in other big game forum. Another one! Gotta love two bear units. Two bear spring, awesome Bryan. So days 1 and 2 come and go in the 2018 Elk Season and we as a group have nothing to show for it? C'mon folks! The players on the sideline are all cheering on the players in the game! I got... nothin' I'll try again this weekend. But seriously - nobody else has one either? Come on guys! What is wrong with those out hunting right now, don't they understand how bad we want to see a grip and grin picture?? Sheesh, they should try harder. for us. Opening morning he came in but was feeding away from my stand, the closest he came was 45 yards and I never had a clear shot. I kept quiet hoping he would return for a drink but he never came. Day 3 he appeared again walking the same trail and feeding away from me. At 75 yards away I gave him 3 soft mews and his head came up and looked for a while, then he turned and headed my way feeding his way to me, at about 45 yards out he again lost interest and starting feeding back away from me. I gave him 2 soft mews and again he stuck his head up and turned, this time he committed and came to within 14 yards out from my stand. He was standing there eating and looking for close to 5 minutes as I looked down on him from 35 ft up in the tree. The only shot I had was a frontal and I’m not comfortable with that from above. So I waited....to my dismay he came closer! Stopping this time 3 steps from my tree but this time broadside under me. I drew back and had to lean out so as to avoid hitting my stand platform. I placed it high up close to his spine going straight down. He only went 250 yards. He is not the biggest but he has character and will eat really good. There ya go! Man, way to show Great patience and knock down such a unique bull brother; he’s certainly got great character. Congrats and way to get and share the FIRST member bull of the year in the meatpole. Congrats.....looks like you broke the ice. Now maybe the floodgates will open!! Great picture, even better story. Congrats!!! Now what? It’s way too early in the year to be done elk hunting. 35 feet up? Holy smokes what kind of stand and tree are you up? We are on the board! The jinx has been lifted. Way to come through for the team. You other knuckledraggers that are hunting, come on, follow his lead! The goal is always 30ft, want to keep the scent up as high as possible. This year when placing the stand (Millinium M100U) however I had a few more tree steps in my pocket apparently and had the stand bracket placed before realizing how high up I was. When I dropped down my 35ft ropes for gear hauling and they didn’t touch the ground, I knew I went a little high. but it worked. Buck tag and bear tag left to fill this week. Hoping for a triple, but the elk was the primary goal. Team Swede went further east this year into new territory hoping for greener pastures, as most of you know we have hunted and camped together for past several years. As of last night they still were working at it with no brown down yet. Hoping they connect soon. My dad is still at it as well. The elk are bugling some. Been a great week so far. Hi I'm new here but wanted to share what events played out today! I almost took a shot at two cows, 27 yards but no real good opportunity of a shot placed itself! I saw what looked like ears looking at me and then they flickered and I knew I was close, but the wind swirled and she lifted her head and curled her upper lip and I saw her teeth and then they walked away into the brush! Almost! This is my sixth year coming to Colorado and hunting public land and I love it! I live in Houston, Texas and I live to elk hunt every year! Thanks for letting me post! Congrats on the first Elk blood stringunner. It also was a nice descriptive write up. Drew a Nevada Antelope tag so I skipped this fall's elk hunt. Got within about 350 yds of the pictured waterhole and had to crawl the remaining distance to get under the pictured Juniper tree. Buck came in early and left right away chasing a doe. He never had time to drink so I figured he would be back. Laid under the tree for 3 hours until he finally returned. 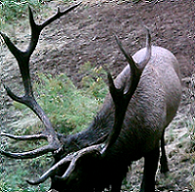 Anyone out there on public land hearing the elk talk much yet? We are hearing a few distant bugles here and there but not much. It seems that the bulls and cows are in separate groups still and most bulls are by themselves! I just want the rut to be here, so we can get some good hunting in! Hopefully I get some answers soon! Way to go Stringunner! And you, Rangerz! Oso, this is just a thread for logging our kills, hence the "Meat Pole" title. You'll get more responses with a new thread on the Virtual Campfire page. Why not start a post introducing yourself! Welcome to the forum! Come on guys where the pics. Leaving in 9 days. Need some inspiration!! Kings Desert camo shirt, Sitka optifade pants. That kings shirt is very light and breathable. The color works good in the desert. stringunner wrote: Opening morning he came in but was feeding away from my stand, the closest he came was 45 yards and I never had a clear shot. I kept quiet hoping he would return for a drink but he never came. Day 3 he appeared again walking the same trail and feeding away from me. At 75 yards away I gave him 3 soft mews and his head came up and looked for a while, then he turned and headed my way feeding his way to me, at about 45 yards out he again lost interest and starting feeding back away from me. I gave him 2 soft mews and again he stuck his head up and turned, this time he committed and came to within 14 yards out from my stand. He was standing there eating and looking for close to 5 minutes as I looked down on him from 35 ft up in the tree. The only shot I had was a frontal and I’m not comfortable with that from above. So I waited....to my dismay he came closer! Stopping this time 3 steps from my tree but this time broadside under me. I drew back and had to lean out so as to avoid hitting my stand platform. I placed it high up close to his spine going straight down. He only went 250 yards. He is not the biggest but he has character and will eat really good. Well done! That is way up a tree! Cannot argue with your logic though, and it worked like a charm! Well done! I have only hunted 3 days myself, hunted with a buddy the first week, which was crazy, saw some monsters, buddy had some good opportunities, and ended up with a bull between 305-315" . I will apply for that tag from now on...incredible place. Almost had a wrap on my season pretty quick, had a bull at 50.5yds, just too far for me, made an effort to get closer but I think the wind got me, it was terrible just as the thermals were changing. Next day I had one in range, but a cow behind him, and again, wind got me before my situation improved. Looks like there’s plenty of room on the meat pole Roosey; looking forward to seeing you hang your elk here. I’m leaving next Thursday. Anxious to get back in the elkwoods is an understatement. I hear some positive things from Swedes’ camp who is still out with some partners. Hoping to get confirmation with a pic on here soon. Good luck this week Roosie...and all you other arrow slingers!! I'm headed out for early rifle season in NM in a couple weeks...blood's pumping hard already!! Then back to the Coast Range for some wet weather Roosevelt chasing in November!! 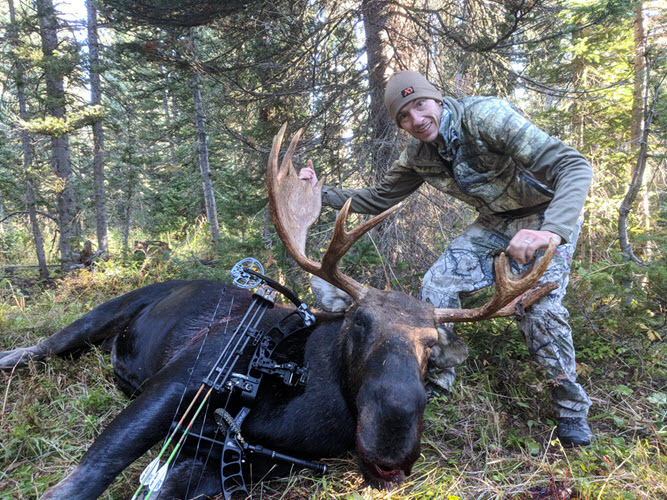 Shot my archery moose over the weekend. I now have the deer and moose tags filled. Hopefully I can get out later this week and chase elk. Nick CONGRATS! You are on fire this year and it just feels like the stars have aligned for you to get the trifecta. Good luck. That's how you get it done Nick, good luck on the elk. When hit with the second arrow she blew a lot of blood out of her mouth and nose, thus the poor photo-shopping of the ground in front and below her. The first shot stopped her in place as it hit the spine, coming down at a very steep angle. Freezer filler for Swede! Way to go! Congrats! Honestly, I cannot tell where the photoshop is, so good job on that too! Very nice, Swede!!! The tastiest!!! An interesting thing happened tonight. I got a call from the butcher shop. They gave my elk away and kept another by mistake. They called as soon as they realized the mistake and will make it right. That is better than some I know of. One time I got a free antelope from a different butcher shop. I don't know how that was handled on the other end, but I think they made it right too. One time we took in two bulls to a butcher shop. One was 400# hanging quarters and the other 320#. All we got back was about 150 pounds of cut and wrapped hamburger. We asked for everything that could be made into steaks to be cut for steak. Not all butcher shops are up front and honest. Nice bull Brent!! Can't wait for the story!! Nice work Swede! That is a really nice bull Brent, congrats to you both! Swede wrote: An interesting thing happened tonight. I got a call from the butcher shop. They gave my elk away and kept another by mistake. They called as soon as they realized the mistake and will make it right. That is better than some I know of. One time I got a free antelope from a different butcher shop. I don't know how that was handled on the other end, but I think they made it right too. One time we took in two bulls to a butcher shop. One was 400# hanging quarters and the other 320#. All we got back was about 150 pounds of cut and wrapped hamburger. We asked for everything that could be made into steaks to be cut for steak. Not all butcher shops are up front and honest. keep us posted on this situation, curious what resolution you will get. congrats on another elk! great bull Brent!!!! congrats, beauty! crazy season, crazier last week, didn't think I needed it, but I got humbled once again this season. elk hunting with a bow is indeed hard. thought for sure I was gonna break my streak, wasn't bothered by it, but got lucky in the 8th inning. really, really happy. Idaho bull, first 6 point, brought in by Creative Cow Calling. Paul, the app was a huge aid this year, we are stepping up our calling skills finally. What a world of difference it has made in one season. Thanks a bunch. Congrats everyone and good luck to those still hunting! Roosiebull wrote: keep us posted on this situation, curious what resolution you will get. 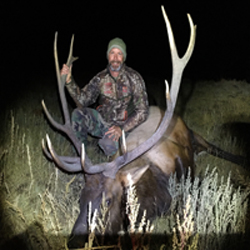 congrats on another elk! Well, it worked out fine. It was an honest mistake. The butcher shop gave me some beef steaks, and sent me a gift certificate for more. I texted the store owner that I was shredding the certificate, and if he was inclined he could give the meat to a known poor person that lived in the area. From the looks of things, that should be real easy, but I will leave that 100% up to him and will ask nothing more. 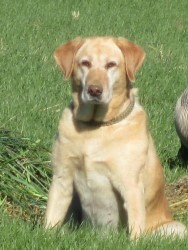 BTW: Roosie you got another beautiful bull. I know you were wanting a spike, but we have to settle for what the Lord supplies. You had planned to do a significant amount of calling this season. Can you tell us how that went? 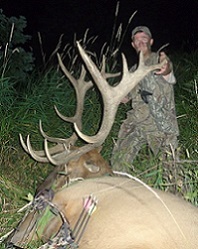 Swede wrote: BTW: Roosie you got another beautiful bull. I know you were wanting a spike, but we have to settle for what the Lord supplies. calling went fine, started in Weneha which was crazy. called some bulls, but the one we were hunting just would not come that last little bit, but even at that, it was a great tool. back on the coast it was lots of days of south wind, which messes up thermals bad, so I called a lot, but mostly for keeping tabs. I called one into 31 that I should have shot, but lost my attention at the last minute and it cost me. all of the southerlies shut down the bulls too, still acting rutty chasing cows, but couldn't get any answers, and with non stop messy wind, I had to change tactics for that. I did incorporate calling much more this year, but not how I was anticipating it pre season. it was a season of "almosts" and "close calls" lots and lots of action. in all reality, super low volume cow calls helped a lot on many encounters when I bumped an elk or 2, or one saw me, super low volume cow chatter calms them right down sometimes. I heard more bugles this year than normal, but that was likely because I bugled more. I have a lot to learn, but picked up a bunch of very good info this year. Congrats to roosie and sweed. Nice job guys. Roosiebull, sticking with it till the end makes it that much sweeter. nrocchio, nice bull too! That is on my list to hunt one of these days if im lucky enough. It wasn't much meat but he was tasty. thanks guys, was a LONG season for me, in the woods all but 2 days since Aug 22, first part was with a buddy who drew the best tag in the state, which was a complete blast, and he killed a nice bull (315ish I think) and has a couple chances at true giants. I could not get my stuff together once getting back, and had chance after chance messed up at the last second. 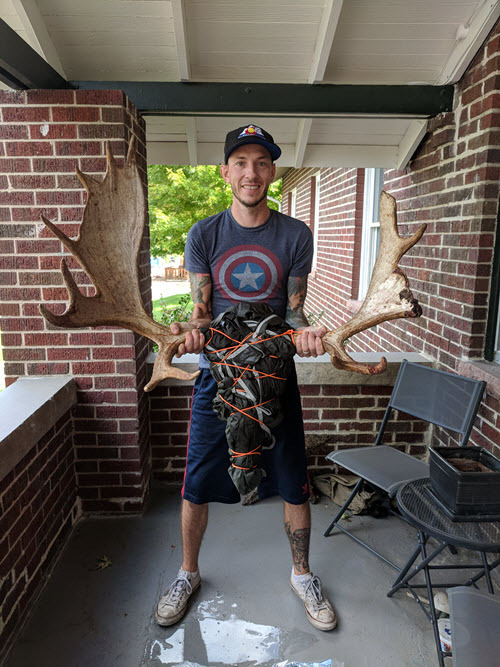 i had a chance at the spike i wanted about a week into hunting, easy shot, ranged the wrong tree as he was coming into my window and shot right over him (shot for 38 i think, he was 27) i almost ranged the first cow just to make sure, but decided to hold tight.... oh well. had several bulls outside of the distance i want to shoot, probably 7 or 8 bulls between 40-50 yds standing still. i shot a giant at point blank range (story is in the gear and weapons section in the arrow thread) he is alive and well, seemingly unscathed, second one i had hit and not recovered in my 19 seasons (other was lower in the heavy part of the shoulder several yrs ago) that really took the wind out of my sails, and could not get motivated after that. i almost shot him again 2 days later but didn't get a good shot, he was fine (which i knew anyways) but i just didn't want to go try to shoot another. the big bull was present when i shot mine, that whole situation is a long story, and maybe hard to believe for anyone other than us who witnessed it, but i ended up shooting the 5 pt after passing 2 shots on him wanting redemption on the big one. more than anything, i wanted to find out what stopped my arrow, if he gets shot during rifle season, i will hear about it, he is a pretty special bull, so maybe i will find out at some point anyways. i often get worried that modern compounds are making archery hunting too easy, this year eased that concern it's one thing to shoot a bow well in the off season, it's a completely different thing to shoot an elk well in a hunting situation, between the fatigue, adrenaline, extreme angles, brush, rushed shooting, shot placement, etc.... archery hunting is really tough. some years it seems almost easy, but in general, it's still really tough, even with todays technology. i wish there was a way i could practice for adrenaline, that's why i keep shots close, the sight picture (peep vs pins) even looks different, everything is different when an elk is in front of me, nothing about it feels natural, and i have to manually make myself shoot well, after 19 yrs, i am still that way..... it's a lot to process in that mental state in the heat of the moment, and i would think i would have ice water running through my veins by now.... but nope! i guess it's all part of the drive, the love for archery elk season. i am really looking forward to glassing for blacktails coming up! such a nice transition from non stop chaos of archery elk hunting, to the laid back blacktail rifle season, yin and yang... both awesome. Brother and I, see bull, call bull in, shoot bull. Awesome guys, I bet you're stoked! Luke, love those dark antlers! Wow, 29 bulls in a week, that's crazy! Yep it was crazy. some of the opportunities were better than others, but lots of action. We may have created new, unheard of ways to goof up an encounter! typing on an InReach comes to mind! Congrats tigger. Thats a lot of elk action in one hunt! sounds like a great hunt Tigger, congrats on your bull! Very nice Tigger. 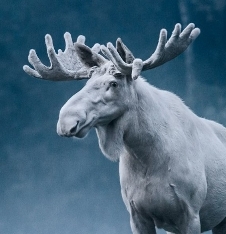 Interesting tops on those antlers. Congratulations. Nice bull Will. Congratulations. You must have a good story to tell here. I understand the Chuck Adams smile. I would have one too. Nice bull, otcWill. Looking forward to a story with that one. Glad to see you made it out! So, three years ago I took up archery in pursuit of elk after a 20 year hiatus. I didn't score in either 2016 or 2017, but had shot opportunities and some really close encounters. This year I at least partially made up for the last two seasons of misses. 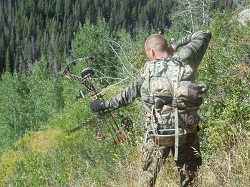 I'm a meat hunter, and choose to hunt one of Utah's limited entry units where the branch antlered bulls are off limits to general season archery hunters. No opportunities on big bulls for me this year. Spike or cows only. 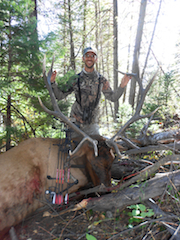 This year, not only did I take my first ever elk with archery equipment, I also took my second just four days later! The first cow was just pure dumb luck - on several facets. We just crossed paths shortly after I got out of the truck at 6:30pm. I'll frankly admit I took a shot I probably shouldn't have. She was 50 yards out, on alert, but perfectly broadside and closest front leg forward. I waited until she turned her head and was no longer staring at me, verified she was staying still, and let it fly. I don't know if she jumped the string, or the timing was simply that she decided at that moment to turn to bolt, or what. But I saw her running off and over an edge 30 yards to our left with the arrow way back. I was dumbfounded, sick, anxious, mad, etc. Quite frustrated with myself for not waiting for another, better, opportunity. Turns out, I severed her femoral artery, and there was an absolutely great trail to follow, and I found her just before 8pm. So I punched my general archery tag. She was 0.6 miles from the truck. Uphill most of the way to the truck, but not too bad. I got her out in three loads, with last load arriving at the truck at 2:45 am. I took the next two days to recover, cut her up, vacuum pack, and put her in the small freezer I brought. She was frozen 36 hours after shot. This one I'll take credit for. Now I was hunting on my antlerless elk permit I drew. After 4 encounters inside 100 yards earlier in the day, but not getting shot opportunities, I setup to call. And I received a reply from a cow, but it was behind me, where the wind would blow to periodically. I decided I'd reposition and try to get a more wind-friendly position before calling to her again to get her to come in. However, I hadn't gotten 20 yards when I spotted her working her way towards me at a fast pace just 60 yards away. At 9 yards she paused to look at the position 20 yards behind me where I called from, and I drilled her with a frontal shot. This was 4:25pm, near a small dirt road, and the blood trail was massive. I thought for sure I would be in bed at a decent time, with a super easy packout. That was not to be! My top pin is set to serve my needs from 0 to 30 yards, hitting about 3 inches high at the apex, and 3 inches low at 30 yards. I failed to account for this in the rush of the moment, and only clipped the top of the right lung. Still, as much blood as she lost, I'm absolutely shocked she made it the 3/4 mile she did. But, she did. After giving her an hour, plus three hours to track (had a really hard time in one stretch where she turned uphill and there was no blood or tracks to follow), I did find her at 8:30pm. This was a much larger cow, and there is no way I could do three loads at that point. Had to do four. Final load was back to the truck at 3:45 am, and back to camp an in bed at 4:30 am. I was dead tired! Pressure cooked a whole sirloin for a roast last Sunday. It was incredible! Falling apart tender and juicy. Of course, as always, the steaks are the best there is. We will be eating well this year. congrats Charina! sounds like you packed a LOT of experience into a very small amount of time! i'm guessing you took a whole bunch away from this season and answered lots of questions, sounds like an exhausting week! Congrats Charina. I would be pleased with Two fine cows anytime. I will be over for dinner. It sounds like you know how to fix elk. Once again, well done folks! Bummer, RJ. I know there is no one that hunts harder than you on a sustained basis. You give it everything you have. Process what happened, and try to learn something. Just keep on hunting. My buddies first elk. 4.5 miles from the truck. Still learning and still loving the hunt. Congrats to your buddy six. Six, it looks like your buddy has a lot of good eating ahead. Congratulations. Need to wait a week before we hunt our Idaho A tag this time with a smoke pole. Would like to thank everyone here for all the help,encouragement, teaching,etc. Could not have done it without all of your knowledge. Was hoping to get my dad on one but the bulls were getting pressured pretty hard this year. He is in his 70's and still gets out there but the bulls we are usually able to hunt where all pushed to the bottoms by a lot more people than I have ever seen in the area. So is hunting. Thanks again it was still a very successful year for us. Great memories where made. Have pics. but can't figure out how to send them. I'll keep trying. Can only post one pic. at a time. Hope you enjoy them as much as I do. It's hard to choose which photo I enjoy the most. My dad taking a break with the horns in front of him or this beautiful site out the rearview mirror on the road home. This pic. makes the decision much easier. That's the future of elk hunting right there. I can not wait to pack out elk with this guy. Thanks again for all the help and congrats. to all who where successful. Super nice ewade! what state? North Idaho sir. Heard wolves 4 of 11 days in the field. Lots of wolves and lots of people. 9/26 Was the lucky day for me. Just over 5 miles on a closed road. At least it was supposed to be closed until the next day I walk in about 3.5 miles and there was a truck sitting there. Local guys. I was pissed. Packed the meat 1.5miles to the truck and had them haul it out otherwise I was going to send pics. Of truck and licence plate to dfg. My nephew Joe’s dandy Wyoming muley. More great trophies. Congratulations to all. Roosiebull wrote: crazy season, crazier last week, didn't think I needed it, but I got humbled once again this season. elk hunting with a bow is indeed hard. thought for sure I was gonna break my streak, wasn't bothered by it, but got lucky in the 8th inning. really, really happy. Nice bull Roosie! 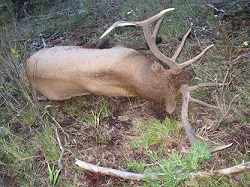 Sounds like a great season...ups and downs of elk hunting! We got shut down in New Mexico...already gathered and went down to the alfalfa! First time since we've hunted there that nobody got one! Hoping to head to the coast for the first rifle season and take the first thing that walks out. Freezer is empty!! Also, great job everyone else. Good to see some meat on the ground! Nice job guys, great looking animals! Ed, that's great your Dad was there too, well done & good luck on future hunts with your up & coming Son there, there's not much better in hunting with family! 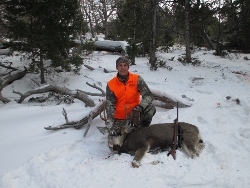 WapitiTalk1 wrote: My nephew Joe’s dandy Wyoming muley. That buck makes me want to hunt a mulie!! Awesome buck! 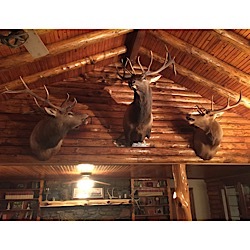 It is very special to get that large of a buck that is quite symmetrical. A trophy for sure. I got to go with my sis in law yesterday morning, it was her first attempt for the season, and it ended quick! Wow! She's taken more Deer than a lot of guys I know & probably ever will! (grin) Very nice, you must be a good guide! Nice buck Roosie. I don't think I will go down your way to hunt Blacktails. You and your group of hunters have been too hard on the deer population. ElkNut1 wrote: Wow! She's taken more Deer than a lot of guys I know & probably ever will! (grin) Very nice, you must be a good guide! of course she shoots about an hour before dark, I pick up my pace a little driving (which was plenty quick to begin with stop by my house just to grab a pack frame, get up on the mountain around dark, just had time to find the bear and get a couple pics before dark (luckily) and finally got home around 3am. bear never die in good spots. the bull, she thought was a bear (he was dry wallowing) I was home cutting up my bull from a couple days prior, and i'm trying to convince her through text it's a bull, and talked her into making a move on it, the rest was history there. she ended up shooting him at 20 yds, he did not know what happened, never ran after the shot, stood around and died, so he was easy enough to find after dark. I have to work this weekend, and finally we are getting some weather, and deer hunting should get good! gonna be a busy end of the season, 2 buddies, my brother, my wife and I need to kill bucks. my wife is top priority, she has never hunted before, so I would really like to get her a couple chances at least, whether it works out or not. I think she will do good, she can shoot well, she is just worried about missing or not getting a shot.... I have told her over and over, it doesn't matter one bit, if it works out, awesome! if not, that's fine too, there is no pressure, it's supposed to be fun. Family friend killed this on a general short range hunt, I don’t know if he had been watching this buck or found him that day but either way it’s a cool one. We finally broke the ice. Not a bad day afield, no more hunting until these are in the freezer. Fricking sweet Lsb. All Montana critters? WapitiTalk1 wrote: Fricking sweet Lsb. All Montana critters? Yes sir. Same ranch, we were looking for goats but spotted elk. Killed the cow then the goats on the way out. Jesse208 wrote: Family friend killed this on a general short range hunt, I don’t know if he had been watching this buck or found him that day but either way it’s a cool one. Tigger wrote: Story is in the Other Big Game section, but here are the bucks my daughter and I shot last week in WY. Pretty nice ivories for a cow. Man, what a beautiful black tail buck Mike! A huge congrats. WapitiTalk1 wrote: Man, what a beautiful black tail buck Mike! A huge congrats. I lucked out on him shot him at 11 am in high sun in a relatively young and wide open cut, hanging out in the sun with a doe feeding. covered a ton of ground already that morning, and that was the last cut I had to glass. lucky there was a buck in there, beyond lucky he was a monster... i'll take luck any day! I don't know a lot about blacktails other than they have smaller racks than whitetails, right? So that makes that one a huge blacktail I would think! 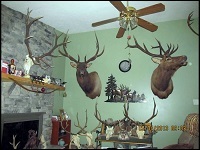 Tigger wrote: I don't know a lot about blacktails other than they have smaller racks than whitetails, right? So that makes that one a huge blacktail I would think! Well, things worked out & I filled my tag. Nicely done Lyn!! Did that cow die there of old age? Nice freezer filler Lyn! 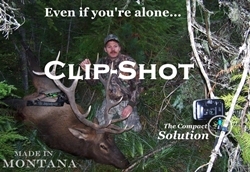 Gee, how were you able to capture that image so handily while standing by your elk? beautiful buck RJ!!! you did darn well! incredible classic blacktail! any more pics? is he a 4x4? they are so freakin' pretty this time of year, spotting a mature white face swollen neck blacktail is second to none, it's such an iconic scene. I cannot get enough of that. one of the things I daydream about the most all year is that split second when you spot a buck like that. 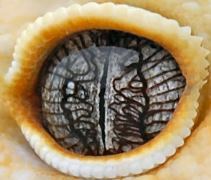 heart stops beating.....then starts again, but at an accelerated rate too cool man! congrats! I dropped mine off today, the guy I have used in the past retired, and it worked out well, found a new taxi, and friend, super cool guy, been doing it a long time, but still super passionate about his work, and hunting in general. rare character I feel blessed to have met. Well, things worked out & I fill my tag. congrats! what a beautiful setting to hunt elk too! that is one of those post card elk habitats, looks very fun to hunt. Great Photo & Thank You for putting what I make to use RJ! I've got 11 years on my clip-shot, so you can count on it for many more "in the field" moments! 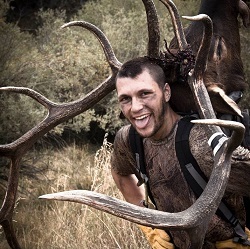 Beautiful bull JS, tell us a bit about your hunt. great bull joe! I too would like to hear more about it, dandy! Thanks! I shot it with my new muzzleloader during muzzy deer season. first animal with my muzzy! It looks like the WapitiTalk hunters have been scoring well. Congratulations to all. Well done. Illinois doe. Yep, she’s good eating. Clip Shot picture. My youngest got her first elk today! Lsb, that's awesome buddy! Congrats to the young hunter and her guide. Helped a buddy find a blacktail today (second to last day of the late modern BT season here). Took him to my secret squirrel spot (grin). Jarrod is just four months removed from disc surgery on his neck and did pretty darn well shooting and packing out 1/2 of the buck. Great shot too; 200 yards off my shooting sticks with a .243 Browning A Bolt. The buck piled up just 40ish yards from where he was standing. Was around a 2 1/2 mile pack out and my buddy had to rest a few times due to being sore up top, and, being more than a bit out of shape from the surgery recovery period... Again, all in all he did a bang up job! Awesome! Congrats to the young hunter. Thanks to everyone who has put one of my Clip-Shot's to use!!! Holy heck Brent, DANDY buck!! Outstanding buck! You’ve got to be a proud dad. 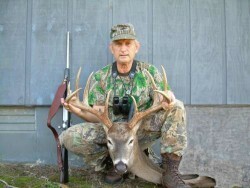 Elkhntr08 wrote: Outstanding buck! You’ve got to be a proud dad. Yes sir, she gutted him too. It was a little slow but hey it was the first time. Congrats to you and your family! You guys are having an outstanding fall. X2 on you being a proud dad. well done all! some awesome critters and smiling faces! Well done guys. I especially enjoy the pictures of the young hunters with their trophies, but all are great. Season over. A high point in my last five or so years of hunting was getting my DAV buddy on his first harvest in 20 years, I got one too. That’s a nice MD buck!